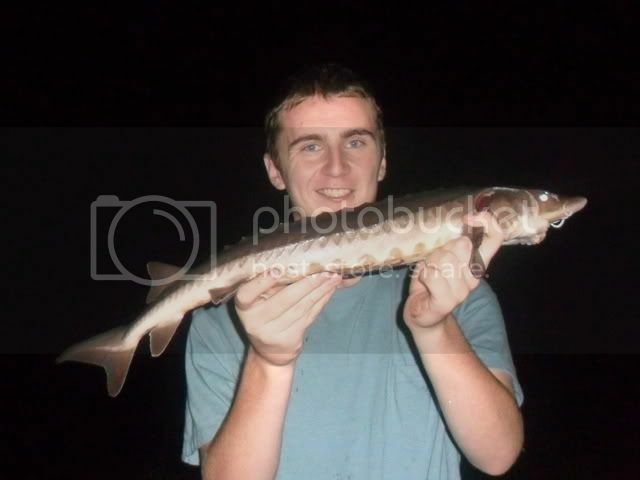 first sturgeons ever. now i'm amped to get bigger ones! I got this one in 1996. 89 lbs 5 tined it! I think these are the coolest fish around. When I perch fish on calm days this shoot out of the water and splash. Very cool to see. They say its to shake the leeches off their body. Fine looking bony beast Ben. I've yet to catch one. Closest I may have come to was power plant up at Stillwater. Fork sticked, bail closed. The pole flew off into the middle of the channel and took a right and out into the St. Croix like the pole was water skiing. We figured it had to be something big and sturgeon can get massive. What is your personal best for sturgeon? Lake sturgeon? There is one called shovelnose in MN correct? Ever caught any other species of sturgeon before? 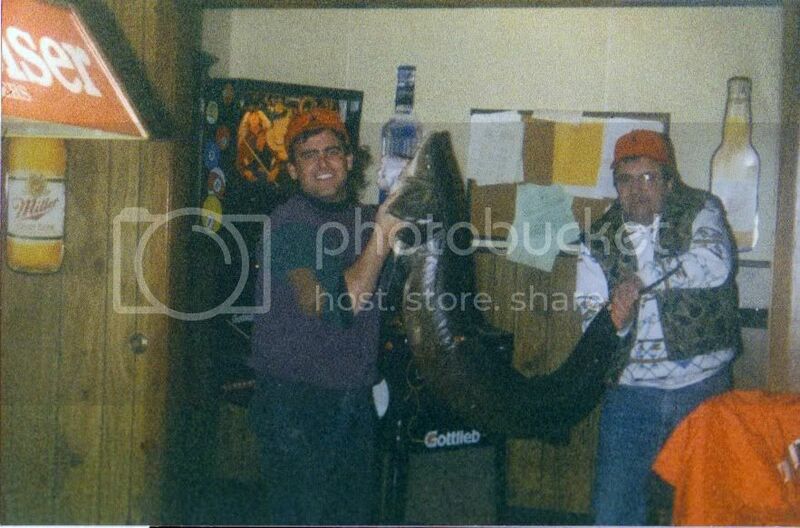 Was I not just talking about the old days when guy would bring big fish into the bar. This ever happen anymore? What did you do with that sturgeon John? I know they are known for caviar. How about the meat? on Winnebago, He was here attending the Internationale Sturgeon Symposium when it was in Oshkosh Wi.Our Sturgeon Biologist on Winnebago,Ron Bruchs, is known Worldwide for his successful program on our lake. We still bring out fish into the tavern.Laid this baby on the pool table.I think I slow danced with it a few times too. We were drinking martinis with whiskey wash.To this day it was my worst hang over of my career! Boy, I bet the slime does a number on the felt! Do a lot of anglers target them on that lake? Nice they are a very interesting fish. 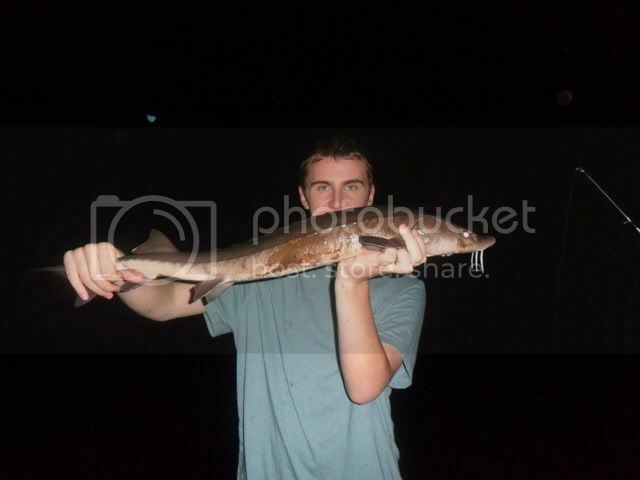 I have caught both a lake Sturgeon and Shovelnose sturgeon in the past. 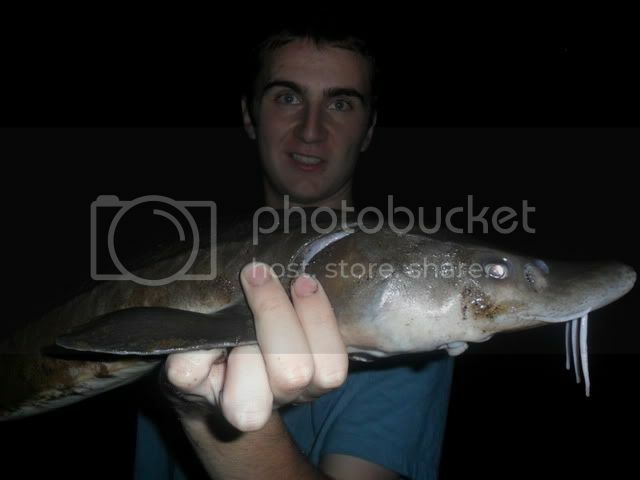 The Shovelnose I caught in Sauk city right below the Hwy 12 bridge. Caught two of them that day while jigging for walleyes. Weird looking things and they are very small compared to the Lake Sturgeon, I believe they only get around 5lbs. 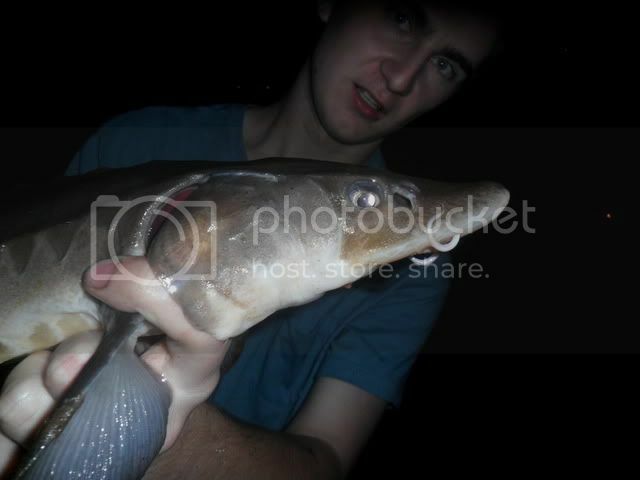 Talk about a odd day fishing I also caught my first mooneye that day. 12,423 licenses sold last year. Harvest caps for 2011 will be 395 for juvenile females, 790 for adult females, and 1,200 for males, compared to 350, 740, and 1,000 respectively, for 2010. 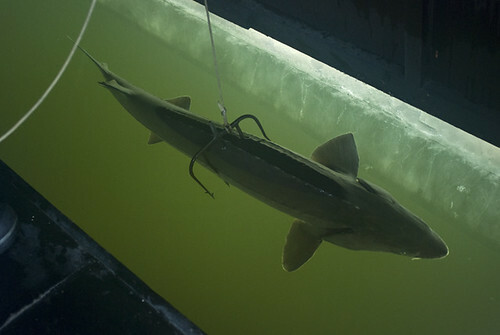 Based on annual spawning assessment surveys and tag returns in the spear harvest, the adult stock of lake sturgeon in the Winnebago System was estimated to be at 15,847 adult females and 31,748 adult males in 2010; these estimates are used to set harvest caps. Harvest caps for juvenile females are set at 50 percent of the adult female cap. (Cut and paste WDNR) We are the example for the world when it comes to sturgeon program. Any one that would like some further reading on sturgeon can find it here. A few pages into the regulations has some great reading on the beasts. Dylan got a nice sturgeon the other day too.